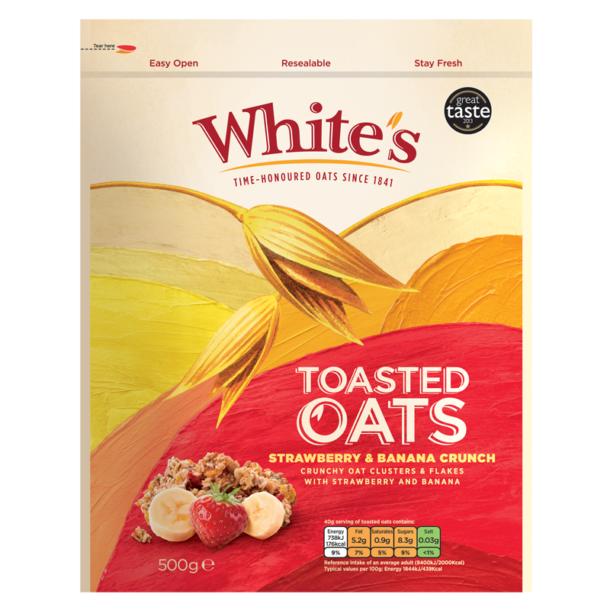 Wholegrain rolled oats lightly toasted with wheat flakes, strawberry and banana pieces. Deliciously crunchy with a moreish taste, it will have you coming back for more. Enjoy as a cereal with cold milk or try adding to yoghurt for a healthier snack.